We are delighted that you are interested in making UPC a part of your wedding celebration! Since planning a wedding is a big undertaking, we have listed some information and guidelines below to help make it easier! If you would like more information, please fill out the form and we will be in touch with you shortly! It is important to pick a date for your wedding as soon as possible, to avoid disappointment! If you would like to book the Sanctuary or the Chapel, please contact us as soon as possible to reserve your special day and time! Marriage Preparation Meetings with the Minister are a prerequisite. This involves the bride and groom talking to the minister about the service at least twice in addition to the rehearsal. The minister will also highly recommend that the bride and groom take a course offered at marriageprep.com. 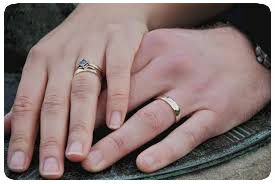 The Marriage License should be left with the Church Office at least 1 week prior to the date of the wedding, unless other arrangements are made with the Minister. To book the Sanctuary for your Wedding, a fee of $500 is required at the time of your booking. This will reserve your date and time so you can continue with the rest of your planning! It also will cover the costs for the use of the Church and for the services of our Minister, Music Director or Audio/Visual Technician and Caretaker. Should you need to cancel, a full refund will be given upon 30 days notice. The Sanctuary is wheelchair accessible.